Zoram People's Movement (ZPM) leader Lalduhoma. File image. 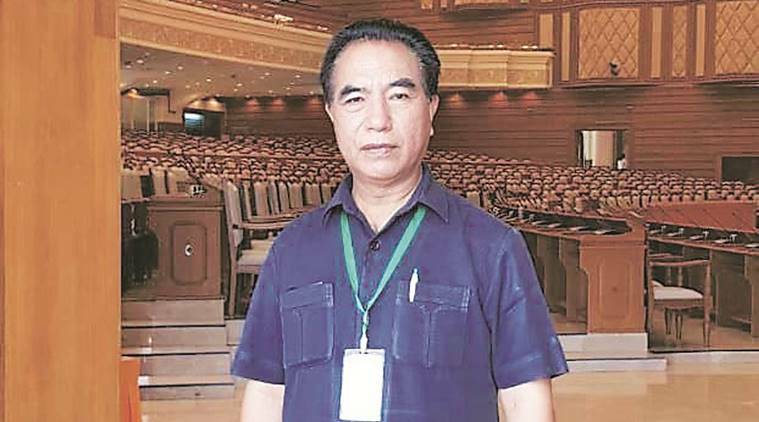 The Zoram People’s Movement (ZPM) Legislature Party leader, Lalduhoma said all-out efforts were being made to ensure that non-BJP parties win the majority and form the government after the next Lok Sabha polls. He was speaking at a party meeting held in the ZPM headquarters on Monday. “The Northeast states are breaking ties with the BJP in protest against the Citizenship (Amendment) Bill. It is time for Mizoram to break ties with BJP to protect its religion and people,” said Lalduhoma. Lalduhoma who was an active participant at the mega rally hosted by West Bengal Chief Minister Mamata Banerjee, spoke against the BJP-led government saying minorities are not safe under the NDA government and that he looked forward to see a new government at the center which will protect the interests of the Northeast people. The ZPM President had earlier accused the ruling Mizo National Front (MNF) party of not having the courage to break ties with BJP in the North East Democratic Alliance (NEDA). While the MNF President and Chief Minister, Zoramthanga responded saying the party is ready to break ties with BJP to protest against the Citizenship (Amendment) Bill, no formal plans have been revealed to sever ties with the BJP. The ZPM leader announced plans to work with the Congress party in the parliamentary elections to fight against saffron party and its NEDA ally MNF.